Well, that's not really a surprise. 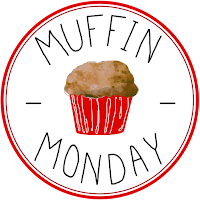 Muffin Monday occurs on the last Monday, each and every month. 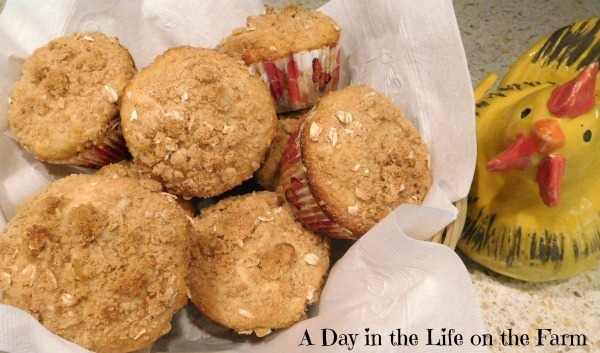 The surprise happens when you bite into these muffins that I am sharing with you today. 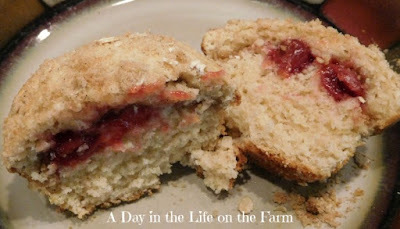 These muffins may take a little extra effort but I think you will find it is well worth it. Once you make the batter, fill your muffin cups 1/2 way. Add a dollop of cherry pie filling in the center avoiding the edges. Add a layer of the streusel, fill to the top with more batter and sprinkle with remaining streusel. Bake until golden brown. Allow them to cool on a wire rack before serving. 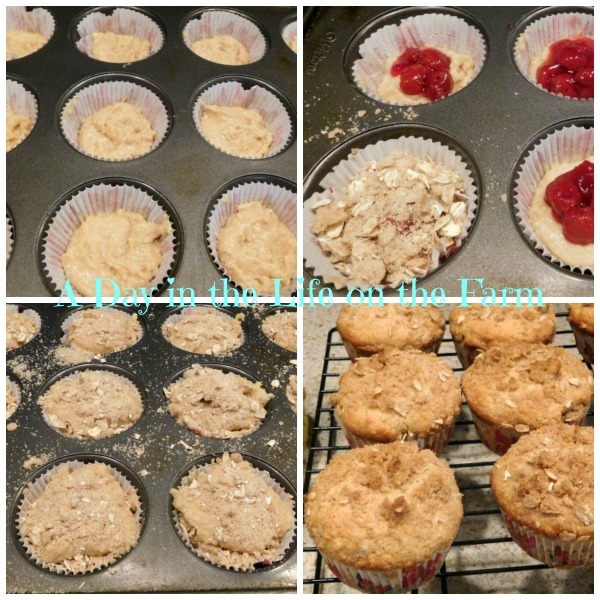 I used some white whole wheat flour along with all purpose flour so these muffins are heartier and have a little more fiber and nutrition in them. Imagine the delight on your families and friends faces when they bite into these expecting a plain old muffin to find it filled with cherries and streusel. I love when that happens!!! Place oats, 1/4 c. flour, brown sugar, cinnamon and butter into a food processor and pulse until crumbly. Set aside. Whisk together the milk, oil, egg and lemon zest in a small bowl. In a large bowl, combine the flours, sugar, baking powder and salt. Add the milk mixture to the flour mixture all at once and stir just until combined. Line a 12 hole cupcake tin with paper cups. Fill each cup half way with the batter. Place a dollop of cherry pie filling in the center of each, avoiding the edges. Sprinkle the streusel over the cherries and muffin batter, creating a thin layer. Top with remaining batter and sprinkle with remaining streusel. Yum!! These look super good! I love cherries! The cherry surprise is wonderful, but the extra layer of streusel is awesome!